Since the prospect of a Renewable Electricity Support Scheme (RESS) was first raised in 2015, solar developers have been closely watching the market in Ireland, to see if it could be a natural stepping-stone from the recent UK boom-and-bust phase. Last month the much delayed scheme was approved by the Irish government and is now awaiting EU state aid approval. The first auction is expected to take place next year with construction of the first round of projects to be completed by the end of 2020. Since 2015, solar developers have been submitting applications to connect to the distribution network through the utility provider ESB. The pipeline of solar projects submitted to ESB quickly grew to 1.6GW by the end of 2015 and had more than tripled by the end of 2016 to reach 5.2GW. The number of new applications slowed in 2017 with no sign of the RESS appearing but still over 1.2GW in new projects was submitted in 2017. While the total pipeline is in the multi-GW range, just over 270MW of sites have both planning permission and a grid connection contract from ESB or Eirgrid; this is made up of around 40 individual sites. It is likely that this number will increase the next time ESB releases its quarterly DSO Contracted Generators list, but for now there are currently 16 different developers with ‘shovel ready’ sites. This includes companies well known for developing solar projects globally but also Irish companies with experience developing wind projects, and some smaller firms moving into solar development for the first time. Most companies have just one or two shovel ready projects, however there are others with three or more. Projects range from 4MW to 80MW, with the former being the most common size, and were all submitted to ESB in 2015. We are only now starting to see 2016 projects at the ‘live’ stage in the ESB documents, meaning a grid connection offer has been issued. There is another 300MW of projects that have contracts with ESB that don’t yet have planning permission and another 100MW with planning applications submitted that could end up being approved by the end of this year in time for the first auction. This suggests that, by the time the auction date is announced for 2019, we could easily be looking at a potential 500MW or so that would have the necessary planning permission and grid connection offers needed for valid submission. The project developers holding these sites will be looking at how they can submit their projects in the first auction round when it takes place. In order to do this, they are likely to partner early with investors and international developers who will be seeking to acquire sites with subsidies attached. 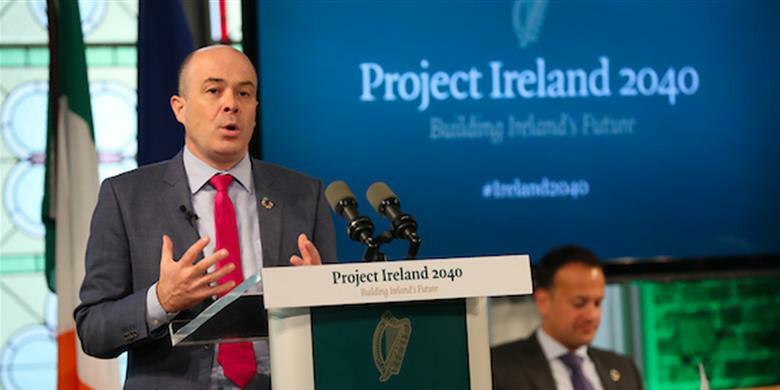 Minister for communications, climate action & environment Denis Naughten announced in July that the Irish government had given the go ahead for the country's first support scheme for renewable electricity generation. With only shovel ready projects expected to be successful in the first round, remaining 6GW+ of projects in the Irish pipeline will have to look to future auctions and will likely need to reach the shovel ready stage before then. Of course, some of these could become early movers in what is now emerging as the post-subsidy European growth segment. Out of this 6GW+ of sites, it will be the larger sites that fall into any non-subsidy grouping, with economies of scale being essential to get the numbers to work. The number of new applications to ESB in 2018 has (not surprisingly) dropped; this is due in part to delays in processing applications. The majority of the existing pipeline will not get built under the RESS and it is likely that by the time some of the projects are processed, the scheme in its current form will have ended. This means that all of the projects that end up being built under the RESS are already in the pipeline and companies looking to do business in Ireland will need to work with the existing projects and companies in order to participate in the market. While the wait for the auction dates and T&Cs has been a long one for many, it is encouraging that things appear to be finally moving. Despite being some 12-18 months away from any POs being placed for modules, inverters and associated balance of system (BoS) or sub-contract workers, there will be many parties currently getting their act together ahead of auction submissions. Certainly, the major module and inverter suppliers should be aware of what the 500MW or so of potential sites looks like, or at least which companies will be driving component selection for 2020 delivery. First however, it is the institutional side that will be inking first rights on sites with developers or indeed taking direct ownership post auction success in order to be more active in the build process that perhaps was the norm during post-build secondary asset buying in the UK large-scale solar market. Many will be securing buy rights on the various portfolios that may emerge, not simply a collection of one-off 4MW sites. Therefore, the Irish large-scale solar market may well see more pre-build transactions than would have been seen in utility-solar growth across other European countries over the past 3-4 years. In preparation for this, our in-house research team has now updated our Republic of Ireland Solar PV Opportunity Tracker Report, a new release due out this month. For more details on how to access this site-specific audit trail, please contact us here.